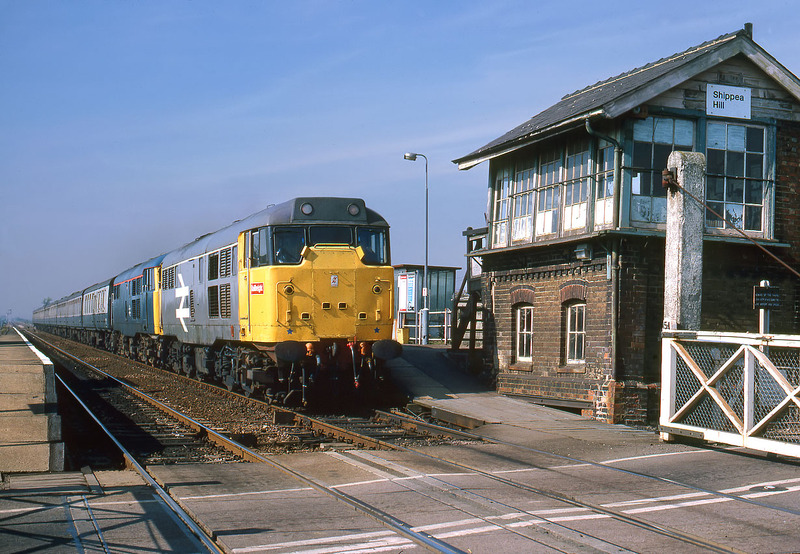 31143 & 31463 race through Shippea Hill with the 1P32 07:49 Leeds to Great Yarmouth service on 20 September 1986. Shippea Hill signal box was at the time propped up with huge baulks of timber against the rear of the building. As can be seen this had not been entirely successful in preventing the whole structure leaning backwards! In 2007 the signal box is in better shape, having been straightened up. Unfortunately the same can not be said of 31143, which was scrapped in 1989. 31463 has however survived into preservation.